BetaLED - Branding, messaging, identity systems, web development, custom programming, interactive kiosk, trade show support, direct mail. 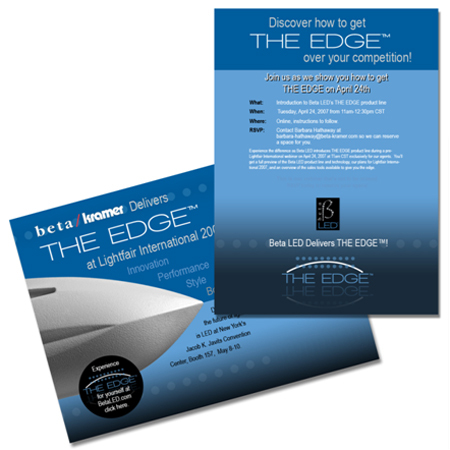 BetaLED is Beta Lighting, Inc.’s first foray into the LED lighting market. 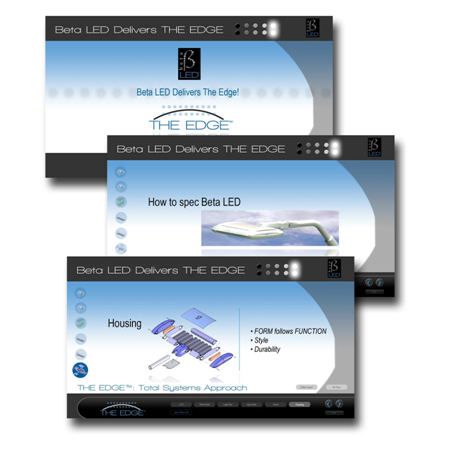 They believe that LED-based lighting is the future. However, as the LED lighting industry then was still young and unproven, manufacturing of the LED-based lighting fixtures were expensive and in its infancy at best. 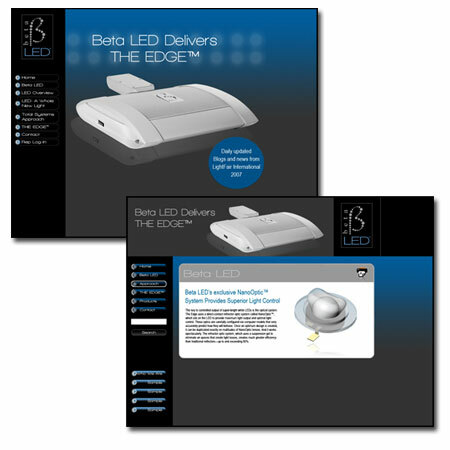 BetaLED is one of the first (if not the first) company that is able to produce a line of exterior LED fixtures that is built from the ground up, as oppose to providing retrofits like the other competitors. They have the advantage of being the first movers and want to claim the name recognition that only first movers can make. 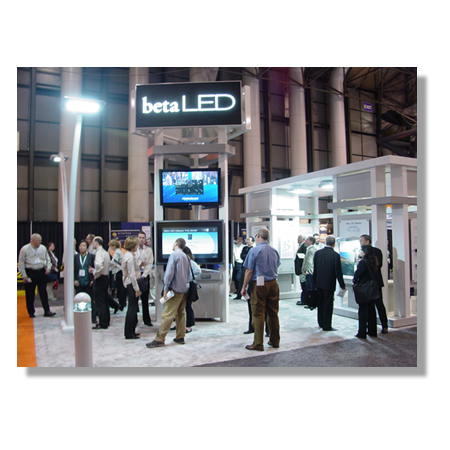 The BetaLED line was introduced to the public during the Lightfair International trade show. Evolution Point was proud to assist in this launch by providing the marketing support that they needed, including the creation of copy style-guides for the brand, design and implementation of their product website, development of their online energy savings calculator as a lead generation tool, design of the direct mail promotional pieces, and development of an interactive touch-screen kiosk to educate users on this new technology. We are excited to prove that the product launch was a tremendous success, in providing the brand recognition for BetaLED, as well as in the number of sales orders in the first year of launch. Development of creative style guide for brand including development of colors, type treatment, and logo usage. Design and custom web development of product-based website in ASP.Net. 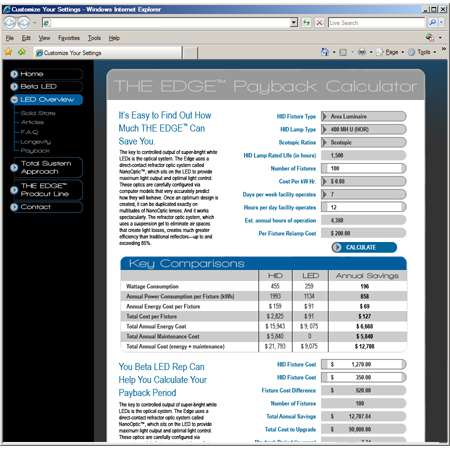 Provides cost savings estimates in switching to BetaLED latest technology. Developed user-interface, graphical design and development of application to be used as a lead generator. 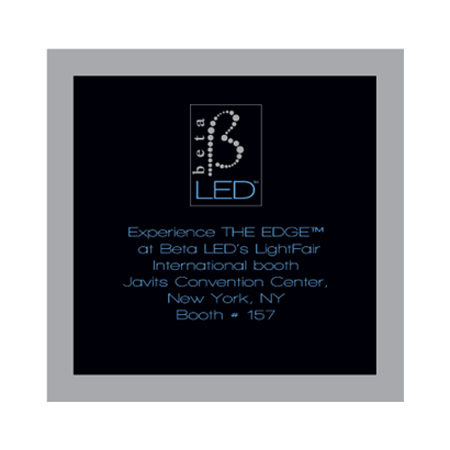 Presenter's kiosk to educate about the benefits and pitfalls of LED lighting, and presenting BetaLED The EDGE™ as the only viable choice. 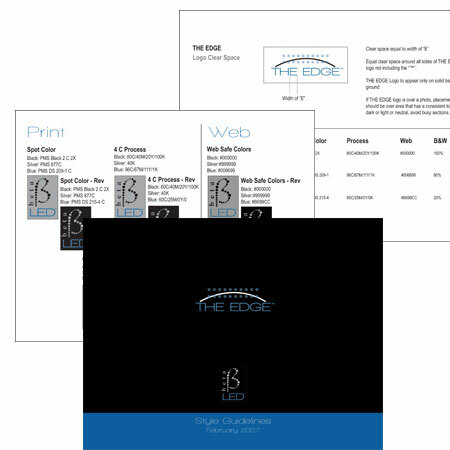 Direct mail (traditional / interactive) is used to promote the booth for the show, and also used to introduce product to the external sales force. Design of DVD direct mail and label used to generate excitement of new product launch and educate sales force of the new technology. Graphic design of elements encourage foot traffic and maintain consistency to clearly declare branding message at all touch-points.